On June 23, Glenn Beck’s The Blaze, the Daily Mail, several paranormal websites, and other media outlets reported on this video of a “possessed” Mexican woman. The girl seen in the clip, Alexandra Huerta, alternates between growling and laughing while restrained on a hospital stretcher. 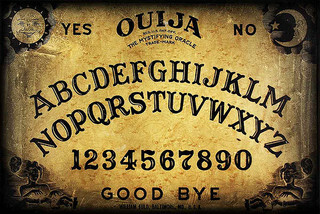 These initial reports stated that Alexandra, 22, had begun to convulse and speak in tongues after using a Ouija board with her 23-year-old brother and a teenage cousin in the village of San Juan Tlacotenco in southwest Mexico. The Blaze article is headlined, “Terrifying Video Allegedly Shows Effects of Young Woman’s Use of a Ouija Board”, and the Daily Mail article stresses that many Christians perceive Ouija boards as dangerous occult instruments. All three were taken to hospital to be treated for symptoms that included double vision and blindness, hallucinations, numbness, difficulty swallowing, muscle spasms, and deafness. The girl’s parents had sought an exorcism, but were reportedly refused one by local clergy on the grounds that the family didn’t attend church. Two days later, the real story emerged: The two young men and Alexandra (who is 16, not 22) had ingested Brugmansia on the advice of Alexandra’s guardian, 48-year-old Maria Camaño. 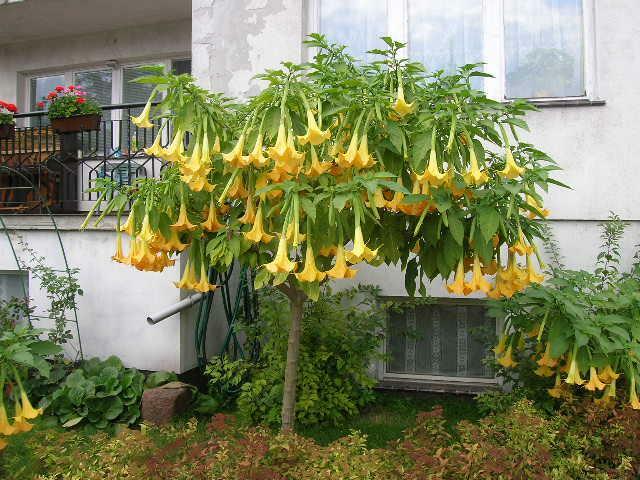 Brugmansia, also known as Angel’s Trumpet, is an extremely potent (and poisonous) hallucinogenic plant that produces states of delirium in which a person can’t distinguish reality from fantasy and acts out in bizarre, sometimes violent, ways – “temporary insanity” is a term commonly used in relation to it. Effects can include fever, paralysis, convulsions, elevated heart rate (tachycardia), migraines, frightening visual and auditory hallucinations, vomiting, cycloplegia, photosensitivity, confusion, memory loss, and death. Brugmansia in bloom. Psychoactive ingredients: the tropane alkaloids atropine, hyoscyamine and scopolamine. Camaño reportedly told the young people that Brugmansia would help them contact the spirit world and perhaps receive messages from Alexandra’s deceased parents. After the girl began to convulse and “speak in tongues”, however, Camaño began to believe her body had been taken over by a spirit. She called the paramedics only after the youths’ conditions didn’t respond to prayer and the priest refused to perform an exorcism. Typical Ouija board. Psychoactive ingredients: None. All of the symptoms experienced by the three young people in Mexico can be attributed to Brugmansia ingestion. There is no need to blame the spirit world, the Devil, or a piece of wood with letters on it. This entry was posted in Religion, Satanic Panic and tagged demonic possession, drugs, exorcism, occult, Ouija board, paranormal, Satanic panic, science, shamanism, spiritualism, spirituality. Bookmark the permalink. I once had a similar experience. After eating one too many Ricola lozenges I made a misguided attempt to contact my living brother, Ezra Quincy, via Scrabble board. He didn’t get the message, but I broke my personal record for word scores.